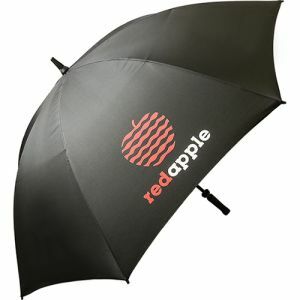 The name of branded golf umbrellas can be deceiving. 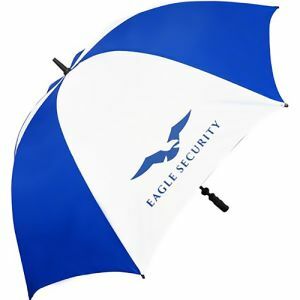 They may have been originally designed to offer cover from the rain out on the green, however, nowadays promotional sports umbrellas are used by any business or client looking for a larger canopy to shield them from the great British weather. 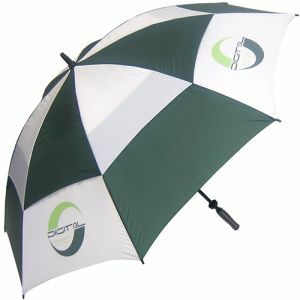 And of course, larger canopies mean greater coverage and maximum exposure for your company logo. UK printed golf umbrellas have a guaranteed use, certain to help keep your customers dry while they’re out and about and spread awareness of your marketing campaign with every step. 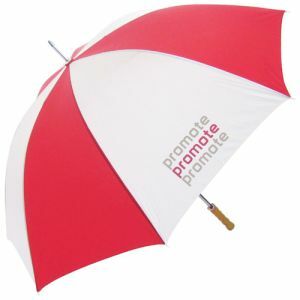 Advertise your business and protect your customers from sudden downpours simultaneously for the best prices in the UK, whatever the nature of your business. 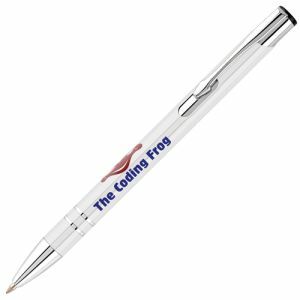 According to a recent survey by The Golf Business, more than 2 million people play golf at least twice a month, and more than 3.7 million have played golf on a full-length course in the previous 12 months. 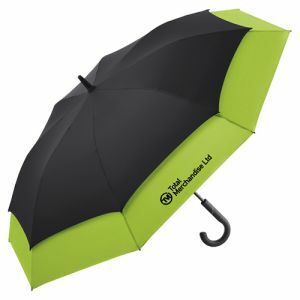 Golf clubs are reporting significant growth in membership, so it stands to reason that branded golf umbrellas are a fantastic way to promote your business to other companies, their staff, your staff and even retirees if they are your target market. 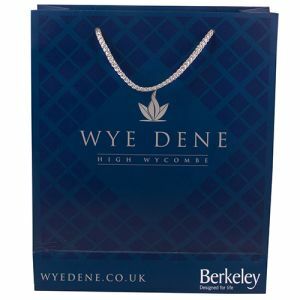 In fact, golf is the 5th largest participation sport in the UK so targeting golfers should certainly get your company logo noticed. 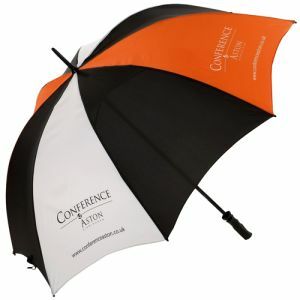 As we know, promotional golf umbrellas aren’t just great for corporate golf days, golf clubs and golf tournaments, they are big enough to keep everyone dry on the touchline at other sporting events, at the summer fayre or even out in the country. 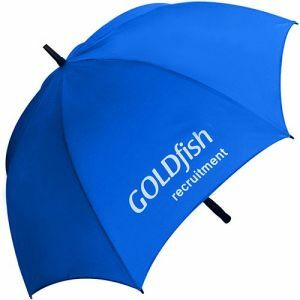 Branded golf umbrellas also particularly well-suited to keeping prospective clients dry while you’re trying to make a sale at garden centres and car dealerships. 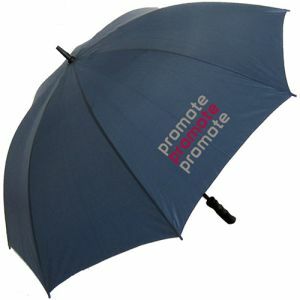 Our best-selling Promo Budget Golf Umbrella lends itself easily to any business or corporate campaign. 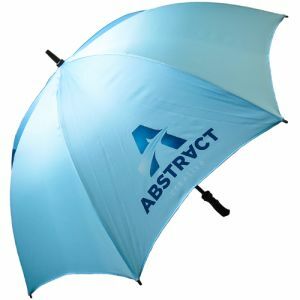 It’s also our best priced printed golf umbrella, available in a wide range of stock colours, complete with a polished wooden handle at less than £6 per unit. 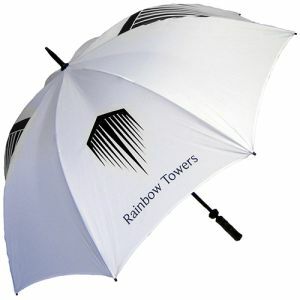 If your business requires printed sports umbrellas that can cope with high winds, then our printed Fibrestorm Golf Umbrellas are a good choice. 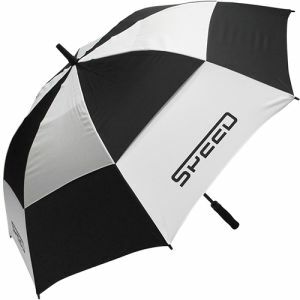 Each boasts a durable storm-proof fibreglass stem and ribs to handle the rougher weather, while the fully customisable handle and extensive range of colours give it that quality finishing touch. 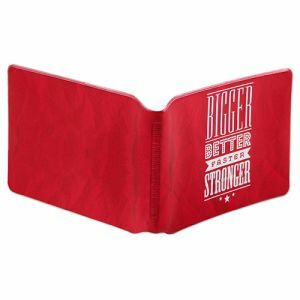 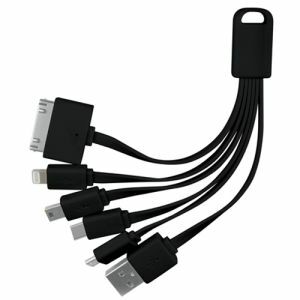 They can even be pantone matched for the ultimate unique yet practical business gift. 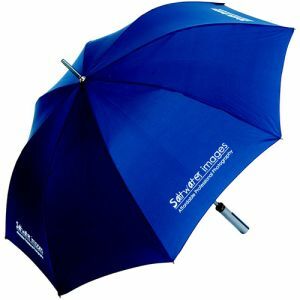 If you’re looking for promotional golf umbrellas to reduce your impact on the environment, all while advertising your brand in an eco-friendly light, then we have the perfect option for you. 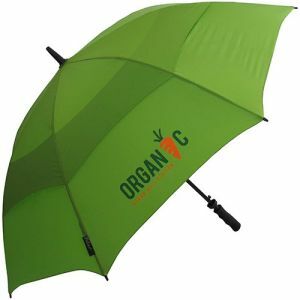 Our promotional Recycled PET Vented Auto Umbrellas can have your logo printed in up to 4 colours to the 100% recycled plastic canopy. 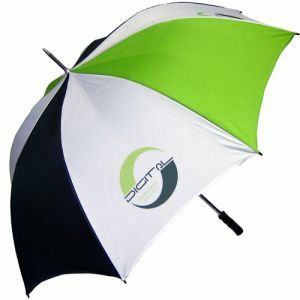 Complete with auto-open mechanisms and green credentials, they’re certain to have your competitors green with envy. 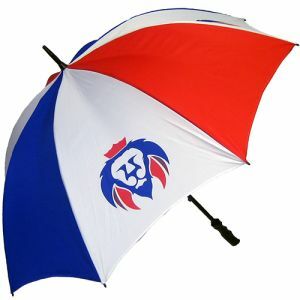 Large printed umbrellas aren’t only for protecting you from the rain. 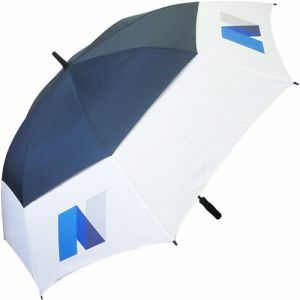 For garden parties, summer events, schools, pubs and festivals there’s no better advertising medium than a printed Classic Garden Parasol, available in 18 stock colours or all-over print to ensure your branding is visible at even the biggest events. 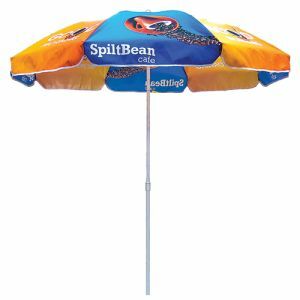 Ideal for creating shade, sheltering visitors from a passing shower or just for creating a gathering spot in any location. 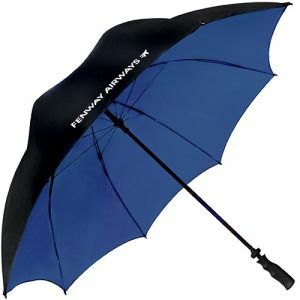 Whatever option you choose, all our promotional golf umbrellas and parasols are larger than regular umbrellas. 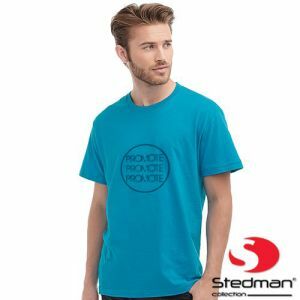 This means more coverage but also even more space for branding on one or multiple panels, certain to ensure your corporate logo is seen in any location and any weather. 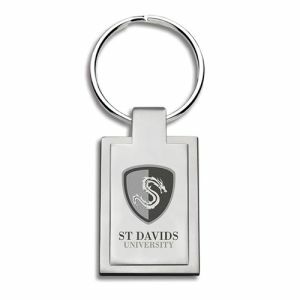 Maximise on this practical branding opportunity to keep your marketing campaign ahead of the competition from the tee to the fairway.